Do you want to work for an amazing company? We are hiring! We have the best team in the industry and been providing top notch services to the Sussex County area for over 60 years. Respect – We serve with kindness, our clients and each other. Excellence – Our credibility rests on integrity, honesty, and trust. Safety – We always chose the safest way. Teamwork – We honor and serve each other by working together as one. If you think you fit in with a team that is committed to these values, then we want to talk with you! 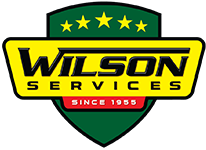 Send us your resume at jobs@wilsonenterprises.com. We are always looking for great people to add to our team. Don’t have experience or the necessary license to fill one of the posted positions below? No problem! We have entry level positions available. We will train you training is available. We are hiring a septic vacuum truck operator for a full-time position with overtime available. Must have flexibility with scheduling as emergencies occur in our business! Manual labor, including lifting of septic tank lids and hand digging is required on a daily basis. English must be spoken and written well. Pay & Benefits: Pay is based on experience and merit. We offer health insurance, life insurance, and simple IRA retirement benefits. We also offer 7 paid holidays, vacation and sick pay, and company paid uniform allowances. All benefits are per company handbook.